At Food Waste Scotland we can uplift your excess food waste, and through our Anaerobic Digestion process, convert this waste into a useful resource. Binn Group and Earnside Energy have come together to offer the only integrated food waste collection and treatment solution across Scotland; this is Food Waste Scotland. Both Binn Group and Earnside Energy operate from the Binn Eco-Park just outside Perth. 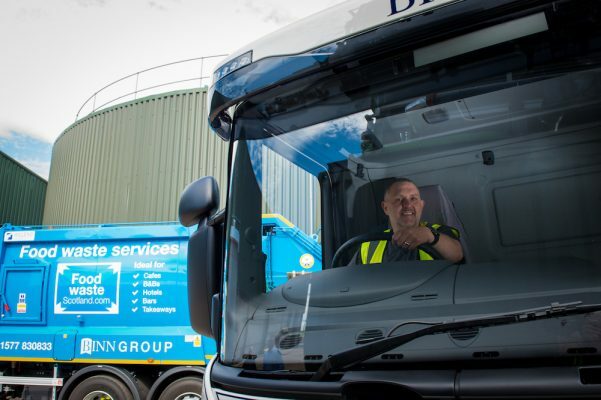 The Binn Group have invested in a number of new food waste collection vehicles enlarging their existing fleet whilst Earnside Energy has recently completed an expansion of their existing AD facility, doubling the volume of waste food that can be compliantly processed to 30,000t per annum. The Food Waste Scotland campaign is designed to reach out across Scotland offering any business producing waste food with a cost effective and compliant solution. Since 2016 it has been a legal requirement for all businesses generating more than just 5kg of waste food to segregate this away from other wastes and to ensure it is collected separately. If so, we can help your business save on waste recycling costs, and ensure that you’re compliant with Scotland’s stringent food waste recycling laws and legislation. 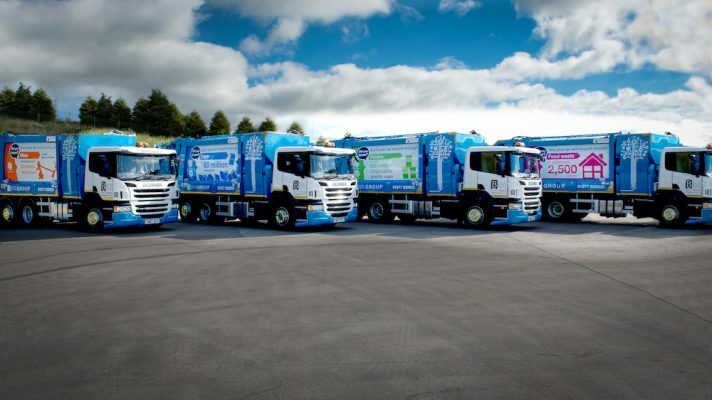 Utilising our brand-new fleet of food collection vehicles and our specialist food recycling partners, with proven long-term capacity, you can be confident we are the right food waste recycling team to cater to your exacting needs and requirements. Why Recycle Your Food Waste? From the 1st January 2016, all food waste businesses within Scotland producing over 5kg of food waste per week must present this waste for separate collection. We can help you fulfil your legal and environmental food waste disposal obligations. Through utilising both Binn Group and Earnside Energy we provide national coverage of Scotland for all of your food waste recycling needs. Both Binn Group and Earnside Energy operate from the Binn Eco-Park just outside Perth. The Binn Group have invested in a number of new food waste collection vehicles enlarging their existing fleet whilst Earnside Energy have recently completed an expansion of their existing AD facility, doubling the volume of waste food that can be compliantly processed to 30,000t per annum. We can help your business lower its carbon footprint. 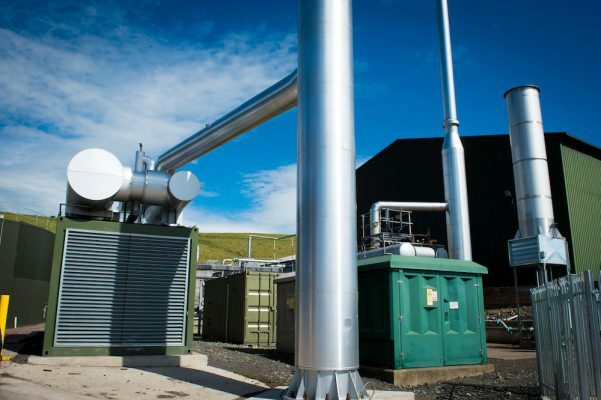 Earnside Energy operates one of Scotland’s most efficient Anaerobic Digestion plants.